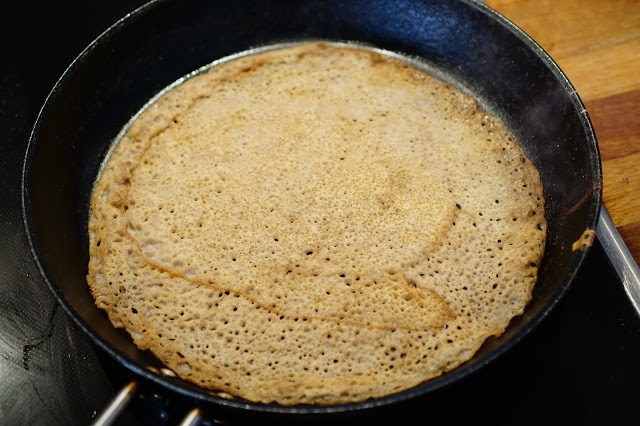 A Galette is a savoury buckwheat flour pancake that originates from the region of Brittany in France. It can be topped with egg, ham, cheese, spinach, salad, onions tomatoes, salmon, mushrooms, bacon…or whatever other toppings you might like. 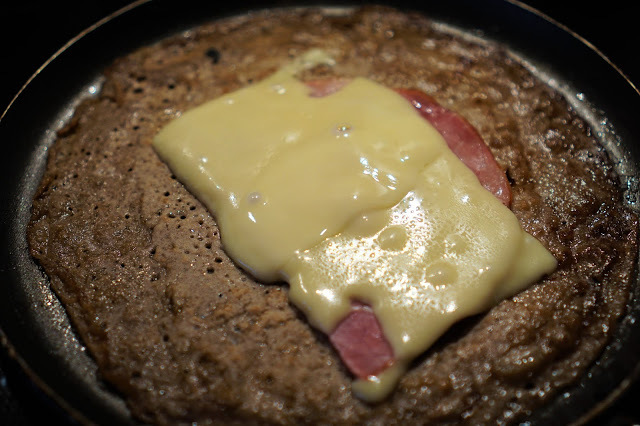 The most common variety has ham, emmentaler cheese, and egg. I first tried Galettes in Copenhagen, Denmark, and loved them instantly. The buckwheat flour has a really good flavor, it gets toasted in a pan with butter, and together with the toppings it is really delicious. It is perfect to eat for lunch or brunch since it is both filling, but also light. I decided to try to make Galettes myself, and it’s actually pretty easy. I don’t have a special Galette pan or tool, but they still came out pretty good. The trick is to get the pan very hot before you pour in some of the batter, and make sure the pan is buttered, and the batter coats the pan. Don’t worry if the first pancake you make doesn’t come out right, it can be a bit tricky in the beginning just like it is making any kind of pancake. I got the recipe from a french blog. It is really simple, and makes 10 Galettes. If you want to try to make them yourself I have translated the recipe below. Mix the flour and crushed sea salt in a large bowl, slowly add in the water, and whisk until incorporated. Let stand covered for 2 hours at room temperature. Heat pan on a high setting. Coat pan with butter once hot. Add about half a cup (more or less) of the pancake batter to the hot pan, and move around to coat. Bake the Galette until crispy, about 3 - 5 minutes, then gently flip it over. Add your toppings in the middle of the Galette. Fold all four sides slightly. The sides you folded should have no toppings. This is just to ensure every bite has toppings in it. I did not use filtered water, but that could be why mine didn't come out as crispy in spots, but they still tasted delicious. I also didn't use any special tools. 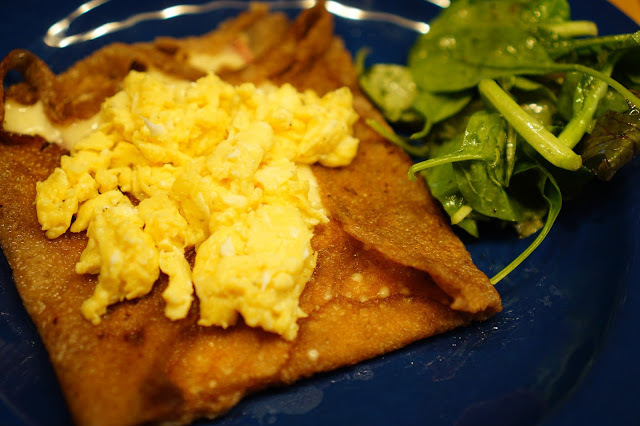 Galette with ham, emmentaler cheese, scrambled egg, and a side salad. Burgers are one of my favorite foods. In Texas we have a lot of great burger places, and when I came to Copenhagen, although a lot of restaurants/cafes are making burgers, most of them just didn’t live up to my standards. One of the biggest problems was the burger bun, it is sometimes too dense, dry, or hard. Other times it is the meat, it just doesn’t have the right flavor, or it’s shaped too small for the bun, so your first few bites are just bread. A good burger to me has a light, and soft but slightly toasted bun, a juicy and flavorful patty, and good cheese. The fries are important too. Freshly cut fries that are crispy can really make a difference. When I order a burger with fries I want to enjoy the whole meal and not just the fries or just the burger, so both being good is definitely a plus. Now that I have lived in Copenhagen for several years I have found some really amazing burgers. 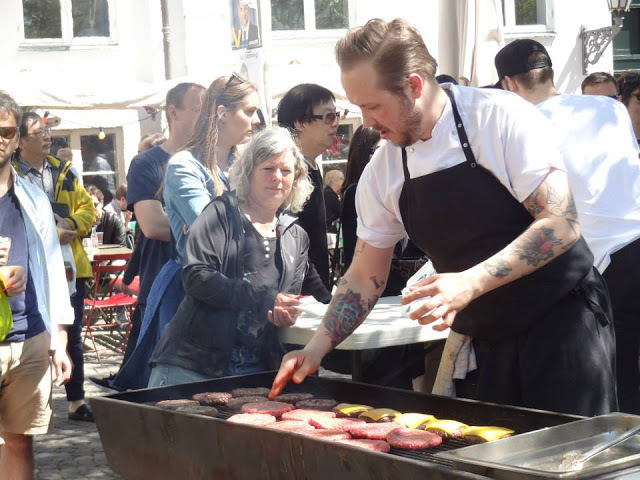 Below is a list of places where you can get the best burgers in Copenhagen. 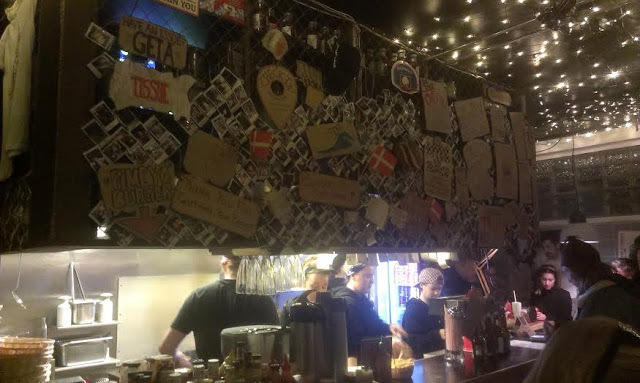 Tommi’s Burger Joint is new to Copenhagen. 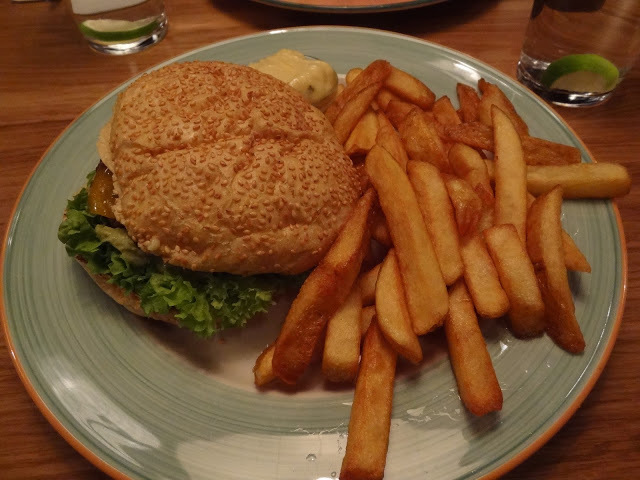 It is a burger chain from Iceland that has been around since 2004, although the owner has been making burgers since 1981 under other names. Even though I’ve only tried it once (a couple of weeks ago) the burger I ate there is probably the best burger I have ever had in Copenhagen. The burger was grilled inside the restaurant and had a smokey grilled flavor. It was juicy, with quality meat, a really nice bun, and crispy thin fries. They even used a blow torch to melt the cheese just right. The bacon looked amazing as well. So next time I will definitely try a bacon cheeseburger. 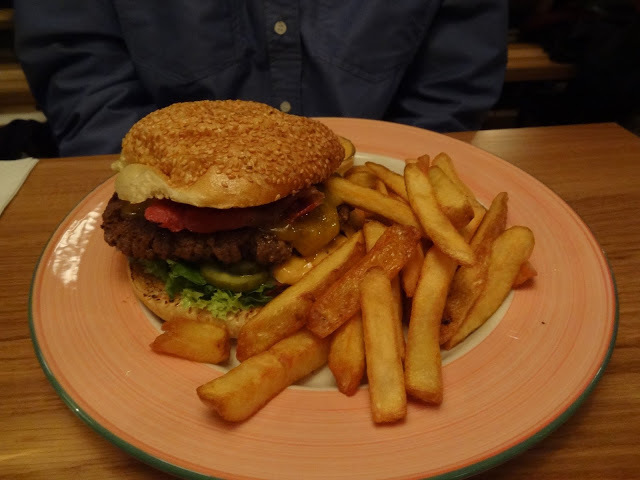 At Tommi’s, a burger with fries, and a drink is 94 dkk, which is a pretty good price for Copenhagen. The atmosphere was also really special, and I loved the music. Since when do you go to a burger place and say you love the atmosphere and music? It was pretty cool in there. When I went to Tommi’s it was a Friday night, and super busy. The place is small, so there aren’t a lot of seats, and although there were only a few people in front of me in line it took nearly 30 minutes for my food to be ready. With no place to sit, and being hungry, it was not the best experience. There was a line out the door the entire time, but the workers there were working so hard. 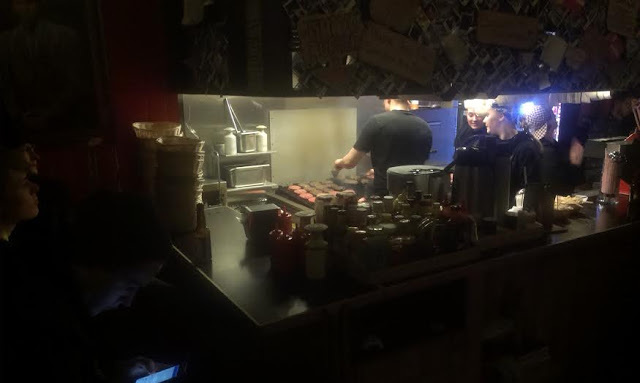 They had 25 burgers going on the grill at a time, and 20 orders backed up, but they just couldn’t keep up. Maybe that’s just a testament to how good the burgers are, right? I suggest to try Tommi’s on a week day/night or during the summer when the weather is nicer and you can sit outside if you have to. I definitely recommend Tommi’s Burger Joint though. 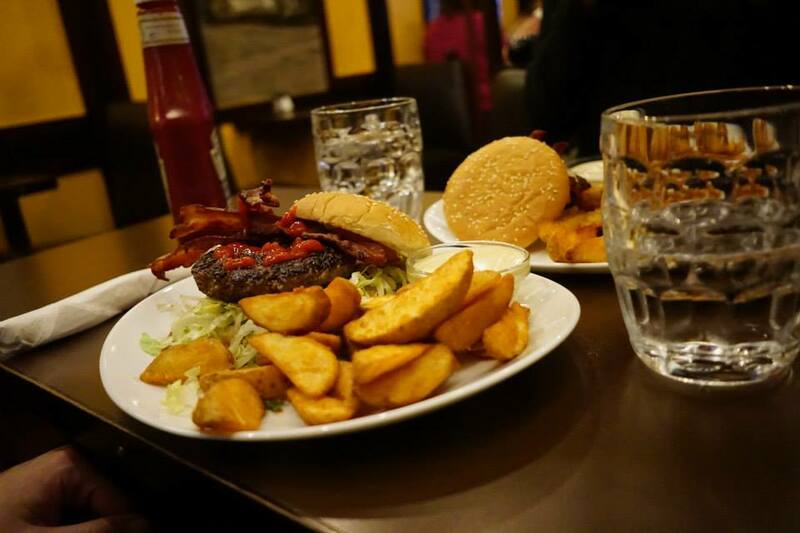 You can tell they use quality ingredients, and they have an assortment of special complimentary sauces you can add to your burgers or fries. If you are a vegetarian, I heard they have a really good veggie burger as well. I’ll being going back again soon for sure, but probably not on a Friday. Luna’s diner has two locations in Copenhagen, one in Christianshavn and a newer location in Vesterbro. 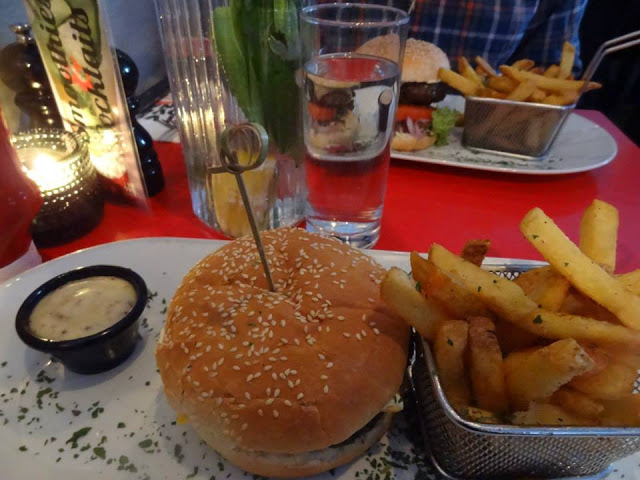 It is a restaurant, and a cheeseburger with fries costs 129 dkk. The burger tastes really good, and the fries as well. You get to pick a dip for your fries and I always pick honey mustard, which tastes just like the honey mustard back home. I love it. I suggest getting water to drink with your meal. You can get a pitcher of water to share with free refills for 29 dkk, and it comes with fresh mint and lemon. It actually tastes really good. 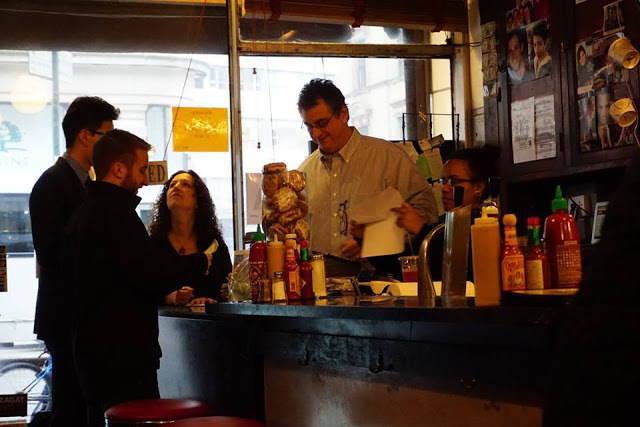 Apart from the Burgers, Luna’s Diner also serves soups, sandwiches, wok dishes, salads, pasta dishes, breakfast dishes, wraps, and has brunch on the weekends. So I’m sure you can find something for everyone on the menu. It’s not your typical restaurant in Copenhagen, as there are many dishes on the menu inspired by American food that you might not otherwise find at a restaurant in Copenhagen. It’s also very cozy inside. Sporvejen is another one of my favorite burger places. This one is located in an old street car, so it’s really neat inside. When I have friends or family visit from Texas, I always take them to Sporvejen. Not only are the burgers really good, but it’s such a cool place. There are also tables and chairs outside. 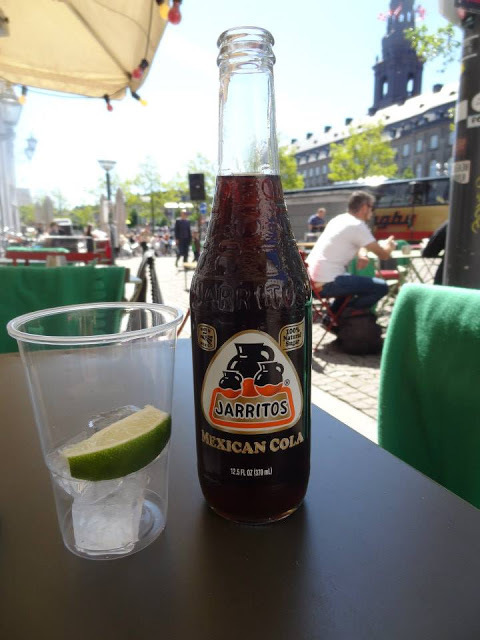 It is located downtown, a bit off the beaten path from Strøget in a really beautiful square with other restaurants nearby. 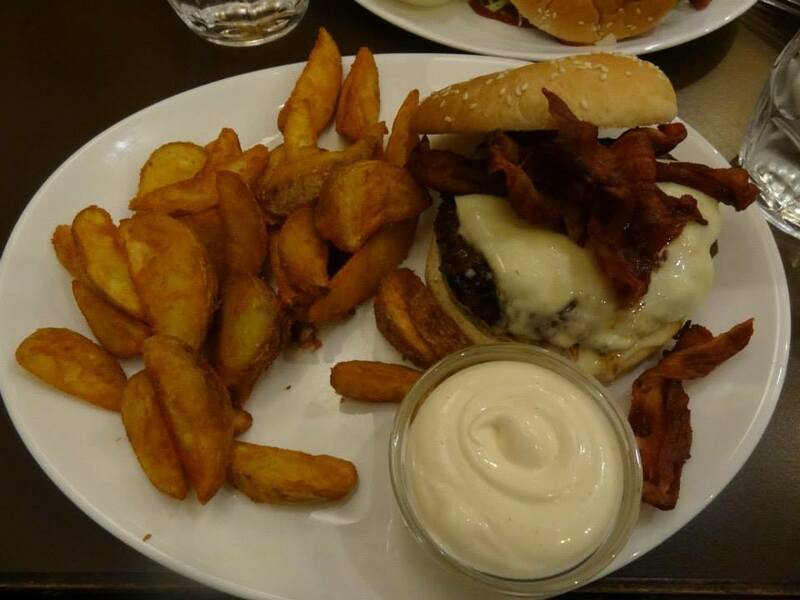 They have a lunch burger special for 65 dkk for a burger with bacon and cheese, and fries are 24 dkk extra. I have only tried the beef burgers here but they also have chicken burgers and omelettes. The burgers are always juicy, and the fries are pretty good as well. Definitely a place worth checking out. 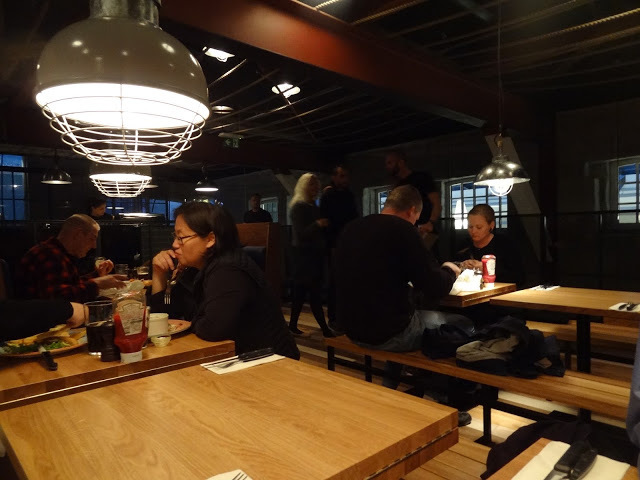 The place has a really cozy, rustic, but modern feel to it. The company/brand signage or art work is also really well done. If you order food as take away, everything is packed really nicely, in packaging stamped with their logo and art work. 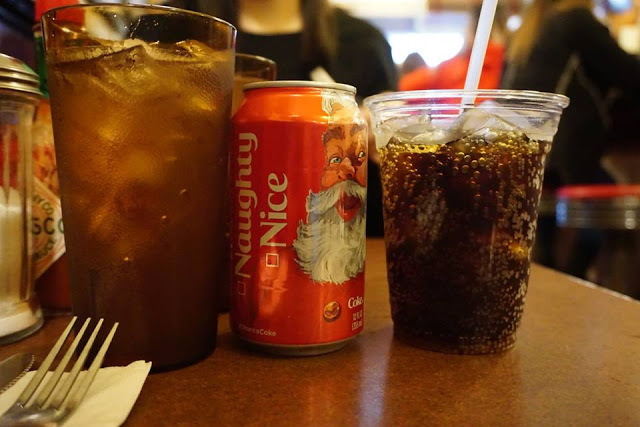 It’s really a neat place, and the food is very good. The menu is limited to burgers, and sides, but sometimes it’s a good thing to not have too much on a menu. It gives you the ability to focus on these items even more. Halifax also has a lunch special during weekdays, so look out for that. Yep, that’s right, burgers are not on the menu! I was reluctant to include this place on my list of the best burgers in Copenhagen, but I have to mention it. 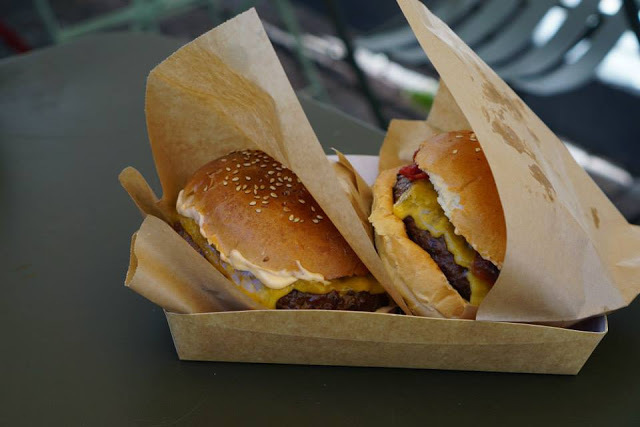 Last summer for one day, Condesa grilled burgers outside, and they were amazing. After we had those burgers we thought, great, now we know of another place to get a good burger, but when we checked the menu online, we noticed that burgers are not on the menu there. They do, however, have a spicy fried chicken burger on the menu only on Wednesdays and Thursdays. Condesa, if you are listening, please consider also adding a beef burger to your menu. I really loved it! The bun was homemade, and just how I like it, the meat was of high quality, really flavorful, and juicy. I hope to see more of your burgers in the future. If the burger was that good, I’m sure the rest of their food must be amazing as well. So perhaps, those of you reading this, should just check out this restaurant anyways, and look out for a future Condessa pop-up burger summer grill party. 🙂 Hopefully it happens again. If you are ever in Central Copenhagen and looking for a cheap place to eat, these are my favorite pizza places there, in no particular order. I first discovered this place when I was studying abroad in 2004 in Copenhagen and living near Kongens Nytorv, which is just around the corner from Gothersgade. 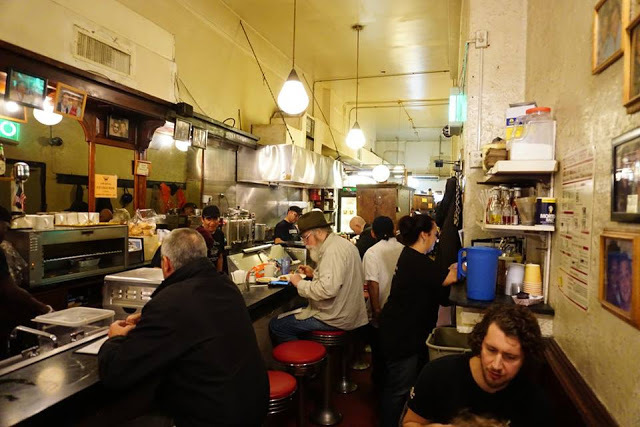 Pizza Huset has been open since 1985, it is Italian run, and they make both sandwiches and pizza. They use fresh ingredients, and fresh buffalo mozzarella, which is a bit of a rarity in Copenhagen. 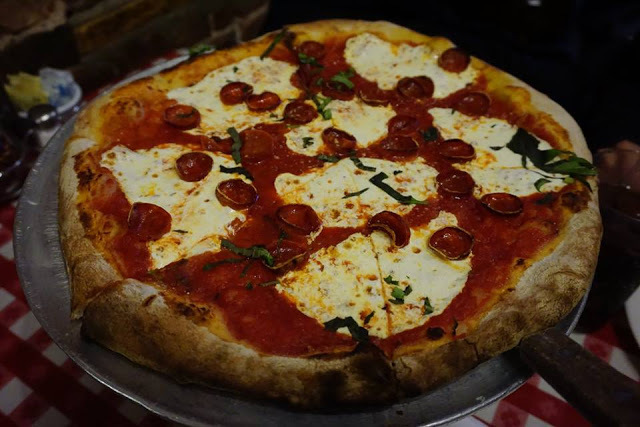 The crust is thin, but crispy and bubbly, and the sauce has a nice flavor. This place can get pretty busy, but the service is always fast, and friendly. During the summer I like to grab a pizza from Pizza Huset, and eat it in the nearby Kongens Have on the grounds of Rosenborg Castle. It is one of the best pizzas you can find in Copenhagen, and at an affordable price. Definitely check it out! Sometimes I explore Copenhagen. I walk down streets I’ve never been and find hidden gems like this place, Slice of Copenhagen. It is located in the heart of downtown, but down some random side street, that you might not know exists. This is why you probably won’t find many tourists here. 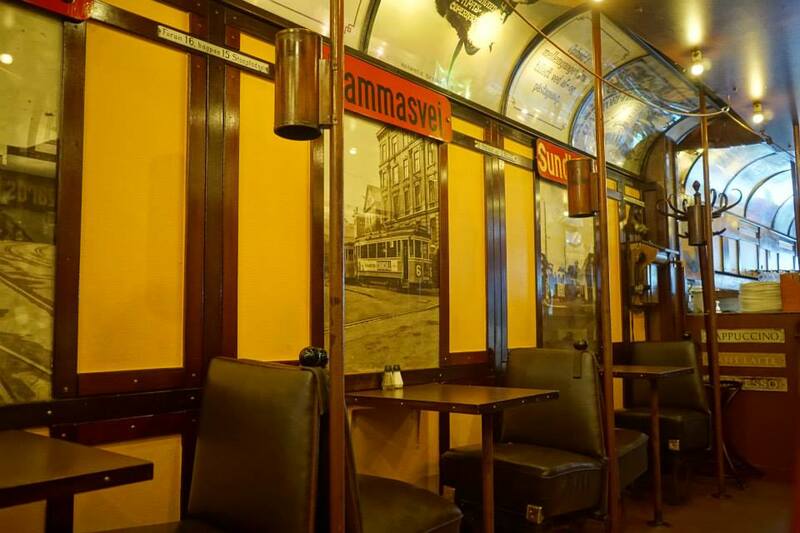 It is one of my favorite places to eat lunch when I am out shopping on Strøget. This place has been open since 1994 and is located in a basement. They only sell pizza slices, sandwiches, and drinks. A “pizza slice” in Copenhagen is not what you think it is. It’s not a triangle shaped slice of pizza. Instead a big sheet of pizza is baked, and cut into large squares, that are then folded, and wrapped in paper, so you can eat it on the go. It is delicious! I always get the pizza slice with pepperoni, drizzled with a garlic olive oil. I recommend getting the garlic or chili oil drizzled on the pizza, since these slices don’t have a lot of tomato sauce. It also gives it an extra flavor. They have several varieties of pizza slices here and they are all on display so you can easily choose which one you want. There are tables and chairs to sit inside, and outside, but if the place is busy there can sometimes be no seats. Luckily, since the pizza is take away ready, it’s easy to eat it outside while walking or you can find a bench nearby to sit. 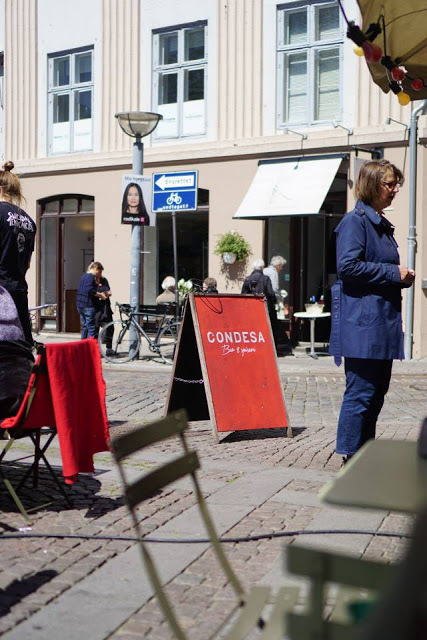 A slice of pizza usually costs 35 dkk, and Slice of Copenhagen is closed on Sundays. This next place is located near Nørreport and the lakes in Copenhagen. 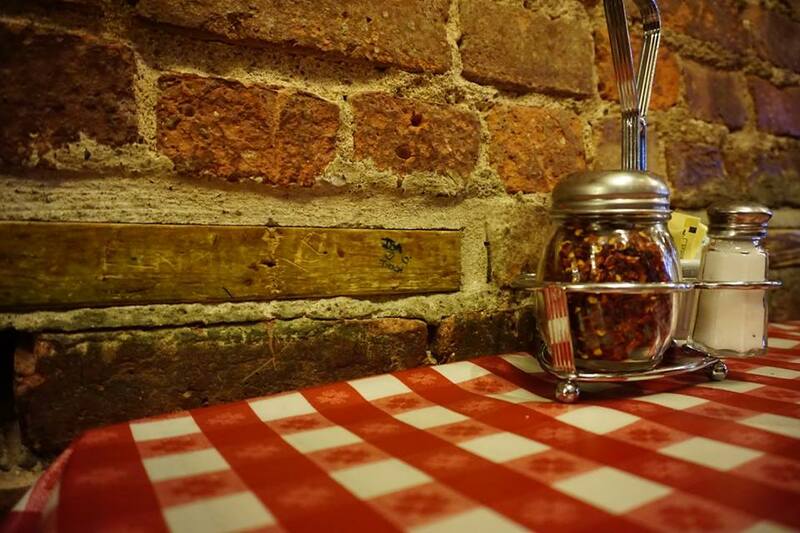 It is in the basement and they serve homemade pasta dishes, sandwiches, pizza, baked potatoes, salads, and fresh baked bread, as well as Italian coffee, dry pasta, and other Italian specialties. 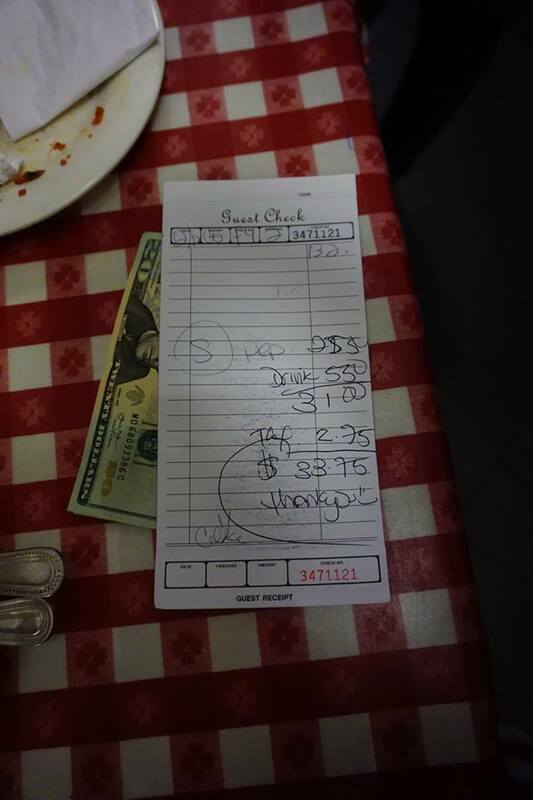 I have only tried the pizza, but the pasta dishes look very good, and the prices are cheap for Copenhagen. They even have a special dish of the day for a lunch price, and lunch specials on the pizzas. 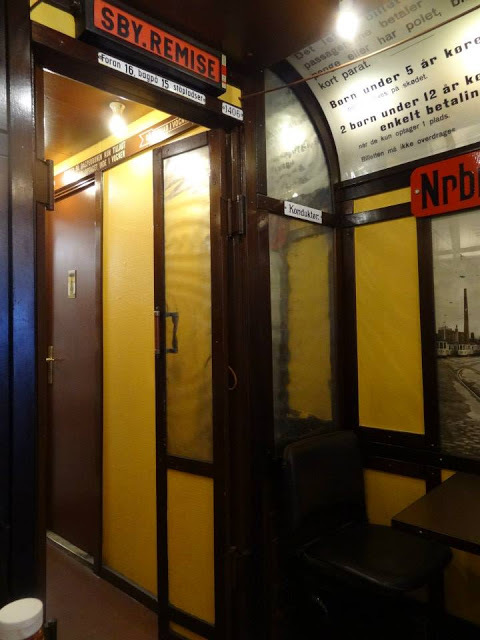 This is not your standard Pizza takeaway place in Copenhagen. They have restaurant dishes at take away prices, and you aren’t served in a paper box or aluminum foil dish, but if you dine in you are given a plate or bowl and knife and fork. Those are my top picks. Do you have a favorite pizza place in Central Copenhagen? More pictures will be added soon! My last day in NYC was a Monday, and we had a flight scheduled from Newark Airport in the late afternoon. 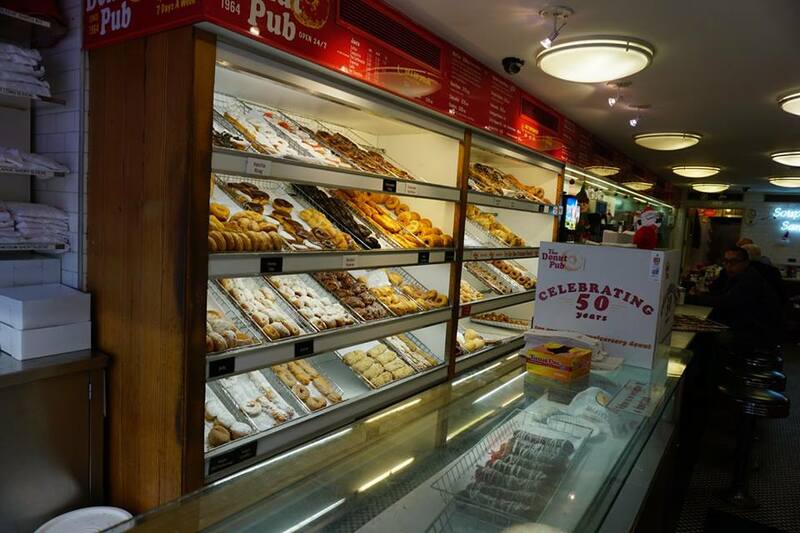 So what better way to start off your day than with some freshly baked donuts in the morning. 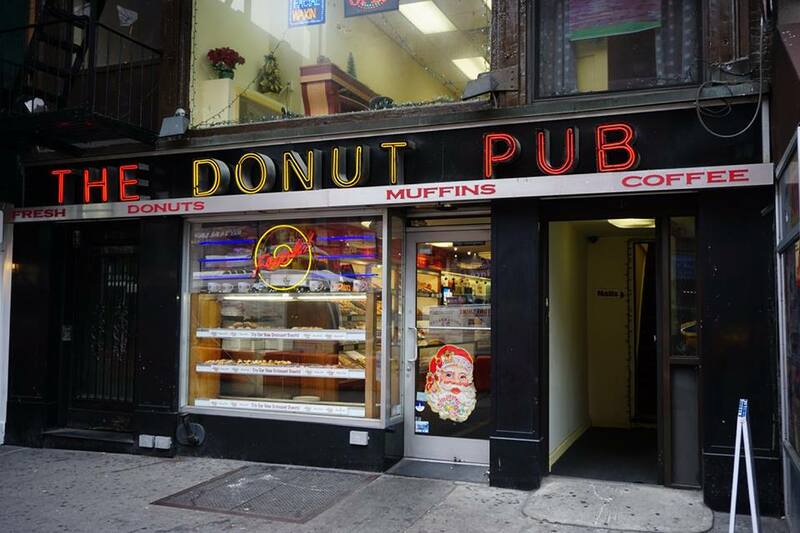 So we headed off to The Donut Pub. 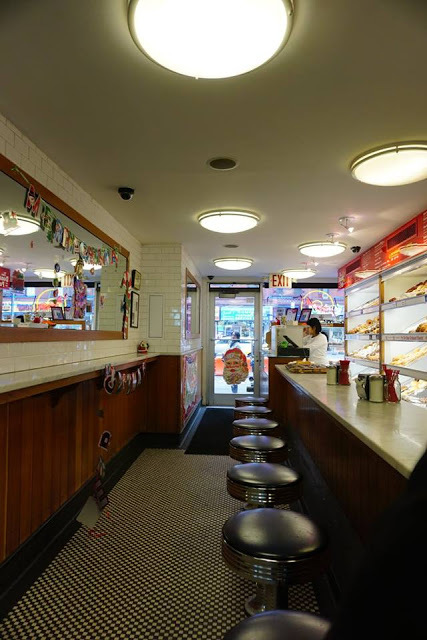 The Donut Pub has been bringing joy to NYC since 1964, and it is opened 24 hours a day, 7 days a week. 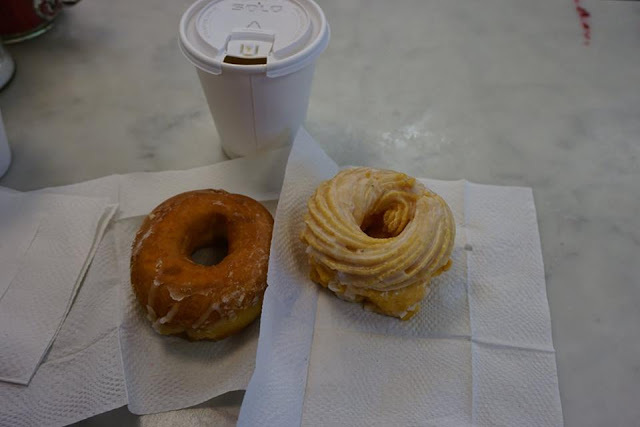 Now, we thought a quick stop at the Donut Pub would be uneventful, but we were wrong. It was probably the most stressful ordering experience of my life. I heard rumors about the Original Soup Man being tough (Soup Nazi Seinfeld episode), but that turned out to be totally fine. No one warned me about the Donut Pub, though. It wasn’t super busy there, people streamed in and out to pick up donuts, but no one really sat inside. We stood to the side as we decided what donuts we should get, but then suddenly we were up. We knew what we wanted, but it turns out the lady taking our order had a very bad problem with listening. All we wanted were two french crullers, two honey glazed donuts, a tea, and a coffee. 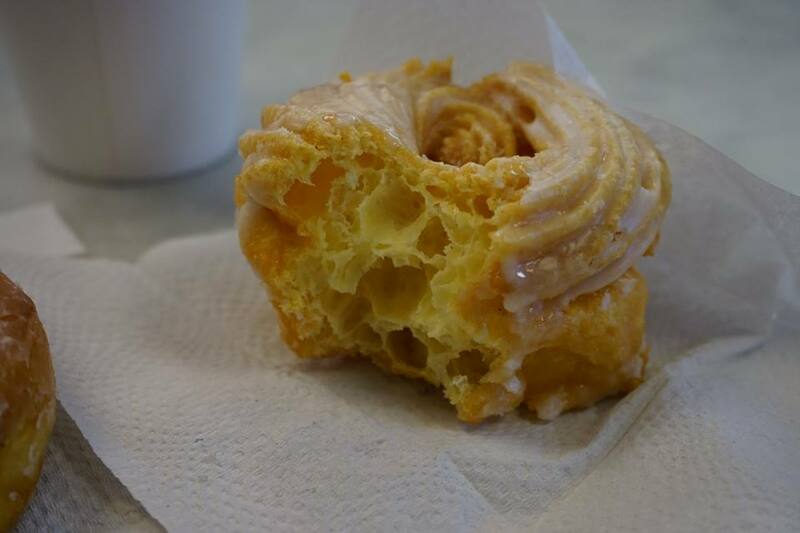 Oh and two more french crullers to go (for my mom and brother back home in Texas). However, anytime I said one type of donut, she was like this one, that one, this one, without listening that I said the name, and she would say how many, 2, 3, 4, 5 and count at a fast rate without giving me a chance to say how many, and I was like 4 we want 4. Then she is like okay, bags it up, and says your total is blah blah (in a flash)! That isn’t all I wanted. So I was like we also want two honey glazed donuts, and again it was the same process, she didn’t listen, she bagged it, and it was time to pay. It was so crazy (and no one was even waiting behind us), but in the end we finally got what we wanted. It turns out the tea machine in there was broken so she poured me tea from a mug of tea….like it was her tea she was drinking. I don’t know. I just had to accept that since I really wanted some hot tea. I was stressed after, it was more chaotic than I can describe simply because this lady would talk over you and not listen but we laughed about it so much after because it’s like okay this is the New York experience you hear about in the movies, she was like the Soup Nazi of donuts, it was pretty funny in the end. Apart from that the donuts were really good, but I’m not sure I’ll go back. There must be another good donut place in NYC that is less stressful. 🙂 This place wasn’t exactly cheap either. 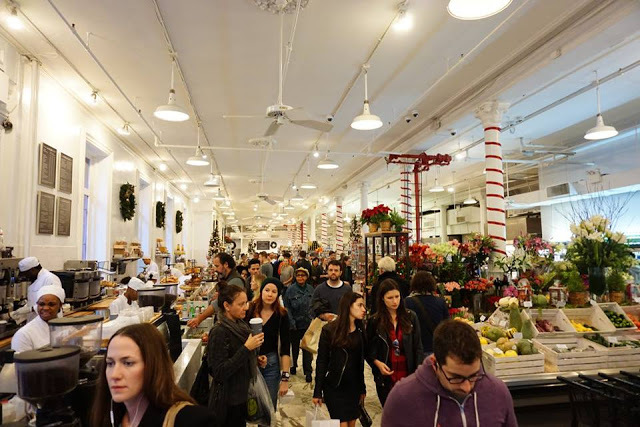 After The Donut Pub we headed over to Chelsea Market to look around. It was a lot smaller than I imagined, but it was interesting anyways. We also walked on the High Line, which is a park built on an elevated section of a disused NYC Central Railroad spur called The West Side Line. Thanks, Wikipedia. :o) I’d love to go back there during the summer, it was really nice. 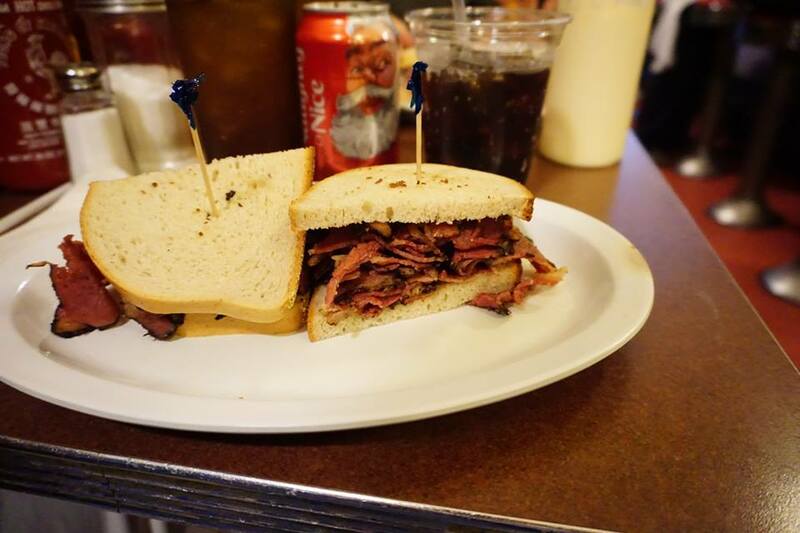 It was now time for lunch, and on my list was having a deli sandwich in NY. Finding a place to eat a deli sandwich at was really tricky. 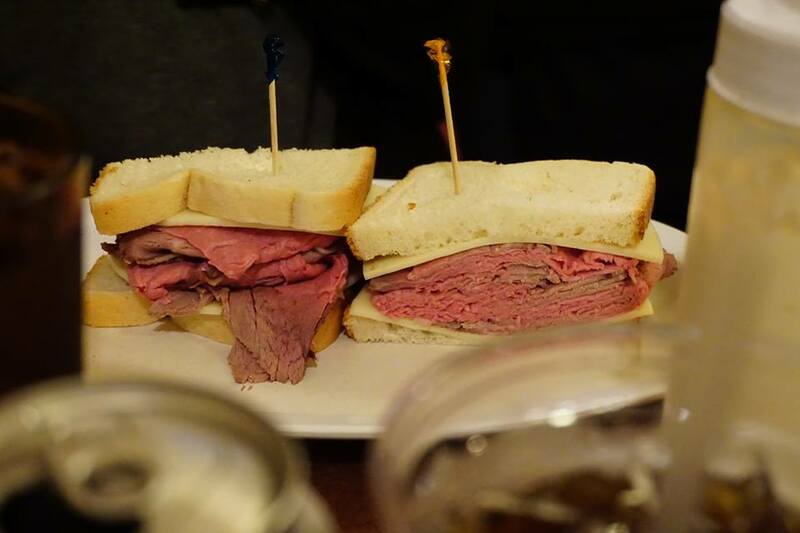 I have heard of the world famous Katz’s Deli but seeing it on TV and online, those sandwiches are out of control, and it looks super crowded there. 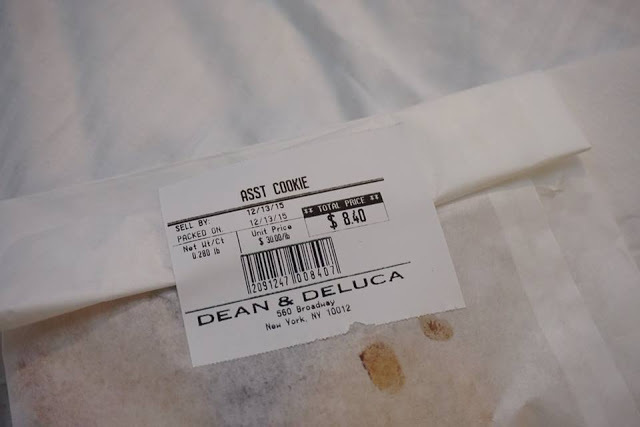 It turns out most deli sandwiches in NYC are insanely huge and expensive. However, after a lot of research I did find one, conveniently located near our hotel, that had deli sandwiches I could handle, and it was known to be a really good place. 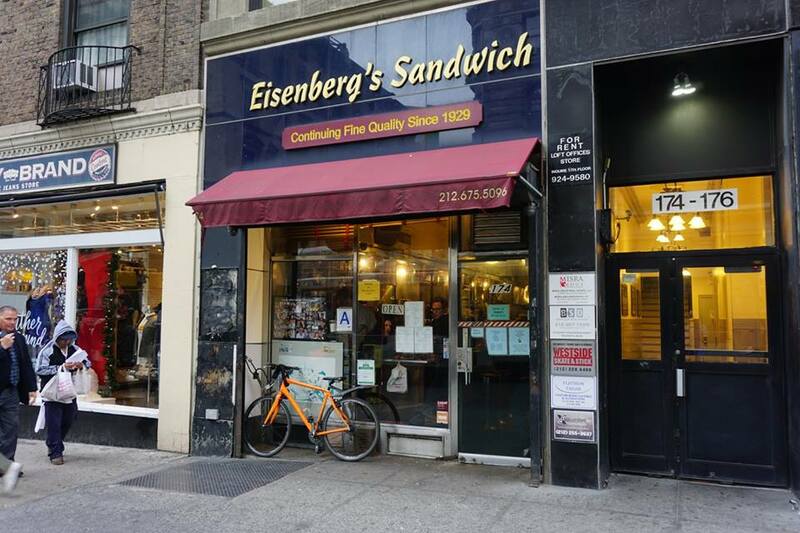 So we walked over to Eisenberg’s Sandwich Shop next. This place has more than just sandwiches. Eisenberg’s has been opened since 1929, and serves breakfast, soups, salads, burgers, fried fish, grilled chicken, turkey, various cakes and pies, milkshakes, and more. So next time I’m getting the pastrami sandwich, it was that amazing, and I only had a sample. 🙂 I have to say the sandwich bread was very good as well. You could tell it was freshly baked, it was light, and had a good flavor. I really enjoyed it. This place looked pretty small on the outside, but like a lot of places in NYC, it turns out there is more room than you think once you get inside. There was a room in the back with more seats, and even though it was busy, we had no problem getting a seat on a Monday at lunch time in there. The service was also really good, and if you look on the walls you can see a lot of celebrities have dined in there as well. The sandwich was more than enough for me, but the size was way more normal than the other deli sandwich shops around. So that is it. This is what I ate in NYC. It was a short trip, I was very sick the entire time, but I managed to try everything I wanted to. There was no rush about it, we just had an idea ahead of time on what places we might want to try, and found them on a map so we knew where they were. We also stopped at places that we didn’t know of ahead of time. This is how I like to travel. There is only a rough idea of a plan, but it’s all up in the air in the end. Our hotel was centrally located, which made a huge difference. We were able to walk around with no problems, and we kind of planned our schedule the night before, but just a verbal rough plan. You know tomorrow we could take the Staten Island Ferry and that might be a good day to try Lombardi’s since it’s on the way back towards our hotel. That kind of thing. I hope you enjoyed my NYC culinary adventures. Hopefully I will get to make a second trip there and explore a little bit more. I loved NYC and I hope to go back. Day 3 of my trip was a Sunday. I didn’t mention before, but the weather was so nice during my stay in New York City. Coming from cold, dark, windy, and gray Copenhagen, it was nice to be in a sunny and warm NYC. In fact, apparently it was one of the warmest December days in NYC history. After some snap shots of Lady Liberty, it was time for lunch! The kind of lunch I had been looking forward to for maybe my entire life. 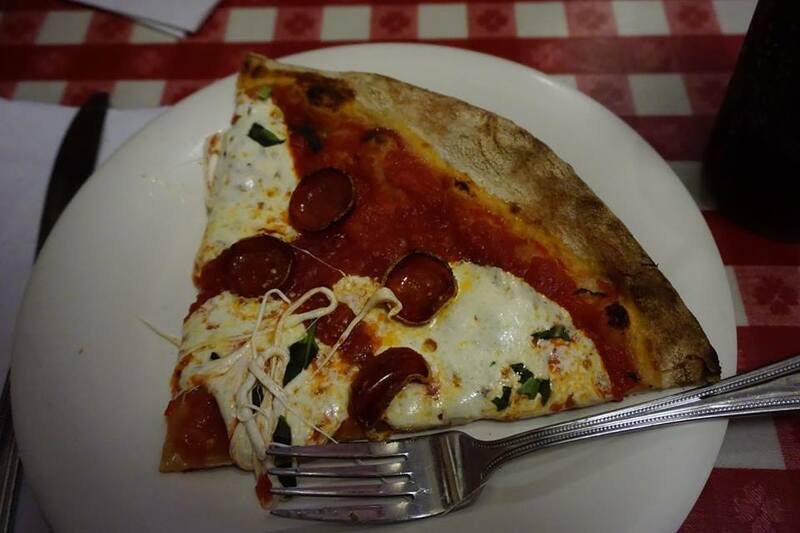 One of the most important things on my list of things to eat while in New York City was pizza. I had to try real authentic NY pizza. 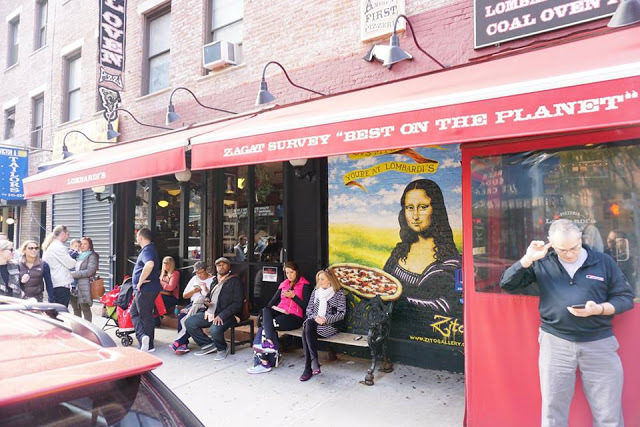 It was really hard to choose where the one place we would eat pizza at would be, as there are a lot of great places in NYC to eat pizza. So after a lot of consideration, we decided to try Lombardi’s! 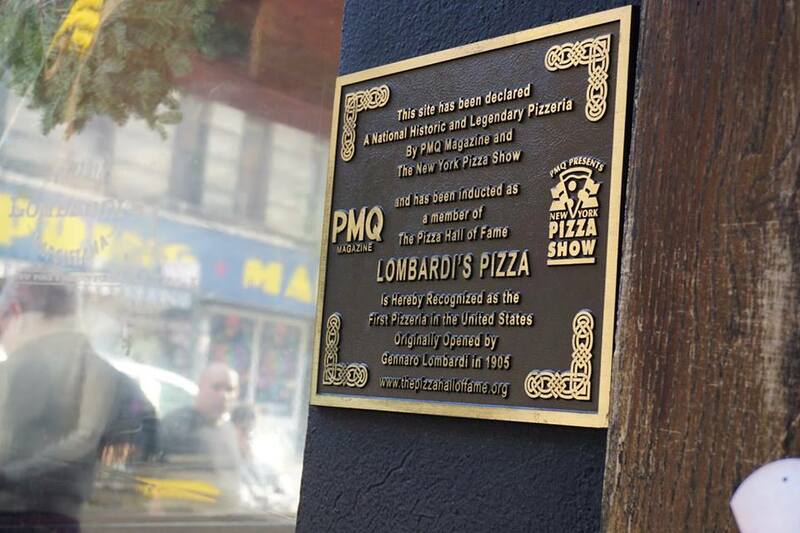 It is said that an Italian immigrant in NYC reinvented the Napoletana style pizza in 1897, and thus opened the first Pizzeria in the United States in 1905 called Lombardi’s. 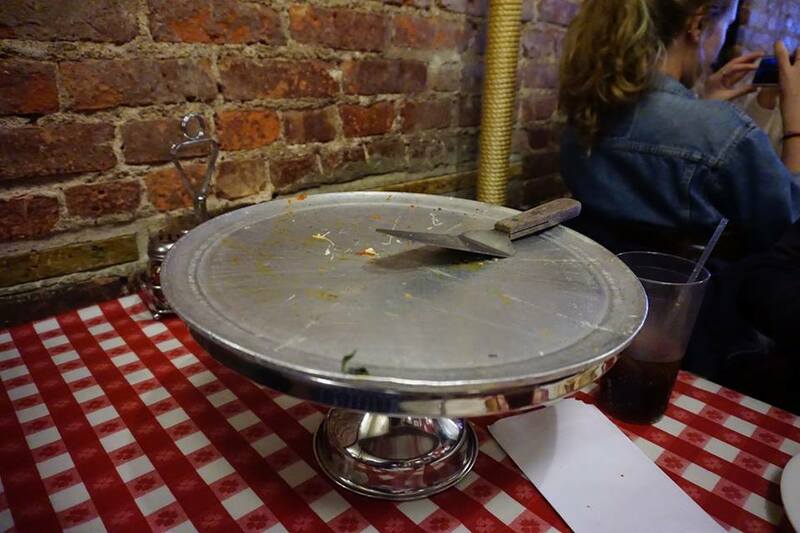 I had to try the first pizzeria in the U.S.! When we got there a line was out the door, and we had to be put on a waiting list, but incredibly enough in less than 10 minutes our name was called and we were seated. The place looks small from the outside but it was surprisingly quite big inside, and very busy. 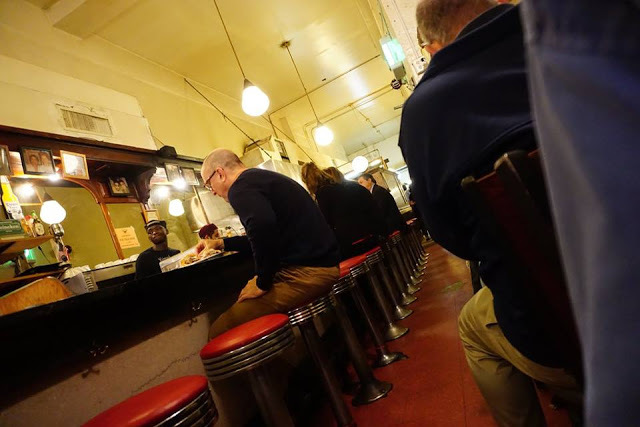 We were taken in the restaurant, through the kitchen and around some corner and to our seat. After lunch we walked around Little Italy and China Town, and decided to walk towards our hotel from there. By this time NYC was in full swing, and we ended up in SoHo in the midst of Sunday shoppers. I noticed a gourmet food store that I had heard of before and seen on TV so we decided to pop in and take a look. It reminded me of the upscale food store at Magasin Du Nord in Copenhagen, but on a larger scale. It was super crowded in there and everything was really expensive. We decided to get some dessert to eat later in our hotel room. The prices were by weight so I had no idea what I was getting myself into. 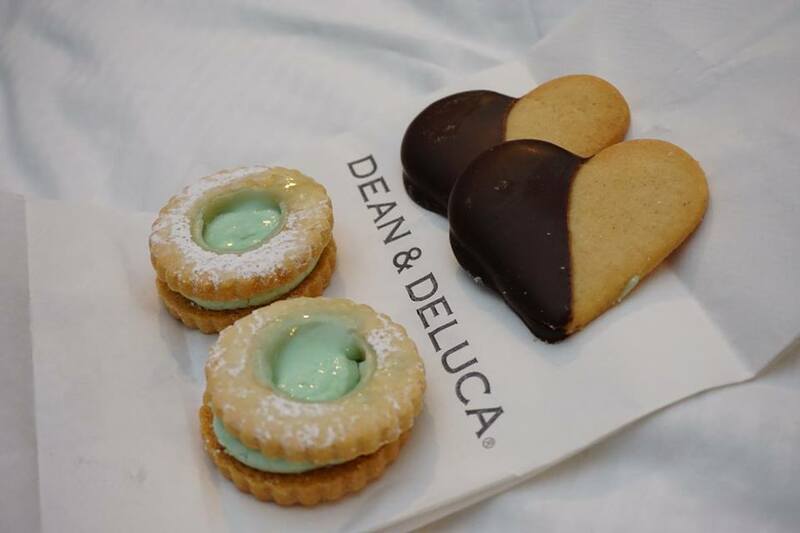 We ended up ordering two Key Lime cookies, and two Dark Chocolate Dipped Heart Shaped cookies. When she told me the price I was a bit shocked, and felt like changing my mind. Basically these little tiny cookies were the most expensive cookies I’ve ever bought, $8.40. 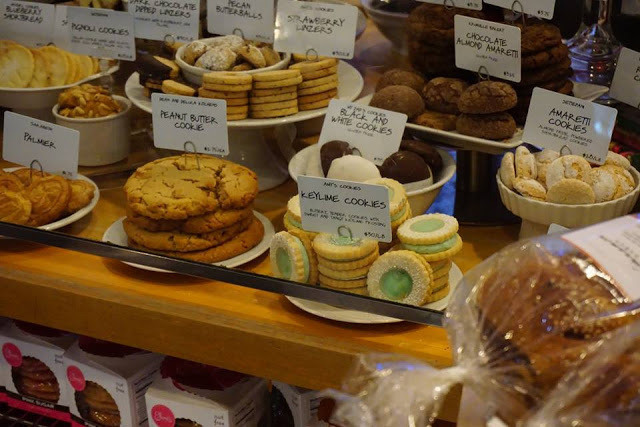 I bake a lot myself and I know how cheap it is to make cookies, and I get that this is an upscale store, but come on, those prices are a little crazy. All in all I enjoyed the heart shaped cookie more than the KeyLime one, but I wouldn’t say they were amazing or anything. It’s definitely an interesting place, but just beware of buying things in the bakery section where the price is a bit of mystery. Perhaps you can ask ahead how much might this be and not feel inclined to buy it if the price seems too high to you. Later that evening we decided to eat dinner near our hotel once again. 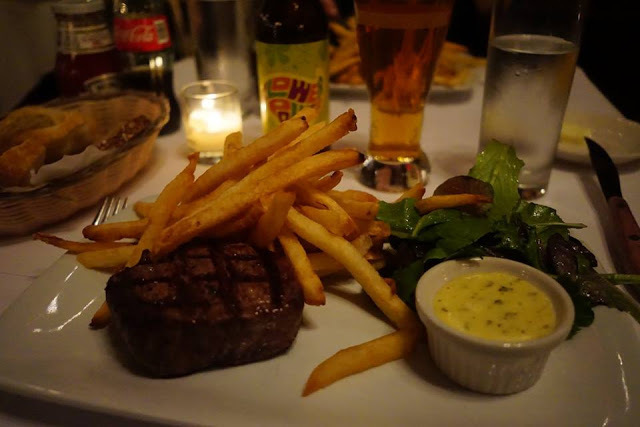 We thought it would be nice to eat a steak with bearnaise sauce at a restaurant, that is if we could find one. I think it’s more common in the U.S. to have steak sauce with steak, but in Denmark and other parts of Europe it is more common to eat it with bearnaise sauce. I never had this kind of sauce before I moved to Denmark, but it tastes amazing, especially if it’s homemade. So there happened to be a place near our hotel with just that called Brasserie Les Halles. 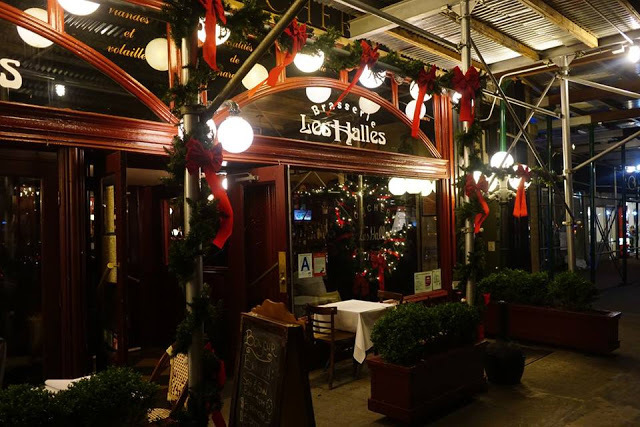 Brasserie Les Halles is a french brasserie style restaurant. It had a great atmosphere, beautifully decorated for Christmas, and was so cozy inside. We both ordered the Filet de Boeuf with bearnaise. The steak was so tender and juicy, the fries were really thin and crispy, and it also came with a side salad, house made bearnaise and some sourdough and rye bread. This was the real deal, what a restaurant should be, freshly prepared food, all homemade, and tastes great. I would definitely go back here again next time I visit NYC. It cost $38 for this particular steak meal, but in NYC for dinner at a restaurant I feel like that is a good price, especially when the food is at such a high standard. Next up – Day 4 and last day in NYC here!